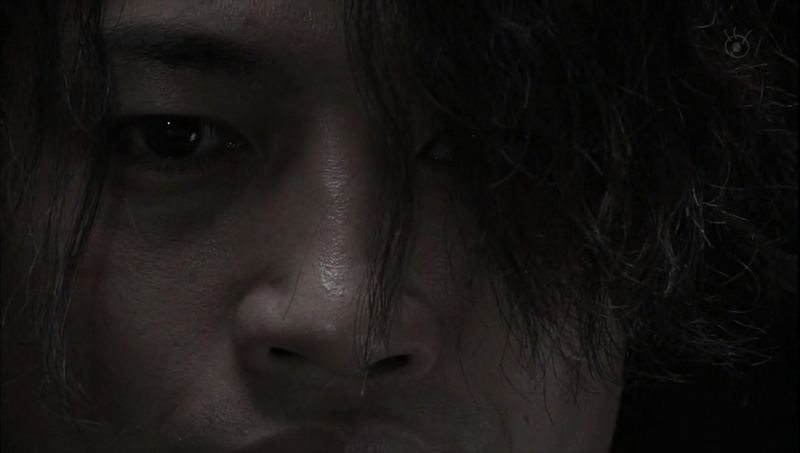 I have to say again, I really like the cinematography. We have the black-and-white scenes from the boys’ tragic childhood and we have the muted, darker scenes of present day—it’s just nifty—although it can make it difficult to really see some scenes well at all. We open episode three with a flashback to a boy furiously coloring sheet upon sheet of white paper black under a piano. Enter Bunzo with Shiori telling her that this will be her home from now on. Bunzo asks her how she likes it and then says that she can now rely on him (apparently she had a rough time and no relatives). He nearly seems like a good man until he spots the young Mitsuru and tells him to come out. Mitsuru just continues to color furiously until his father yells and the little boy takes off running. Shiori asks who the boy is and Bunzo calls him trash that his ex-wife threw away and she doesn’t have to concern herself with him. Of course, Shiori doesn’t listen to this and does her best to take care of the little boy. Back in the interrogation room, Mitsuru is flicking his fingernails under the table and complaining about being hungry. The detective responds that Mitsuru is a man who is always honest to his desires. Mitsuru says the same thing can be said of the detective. When you’re hungry you eat, when you’re thirsty you drink. The detective cuts in and says when you’re angry you kill. This shuts Mitsuru up. The detective then says that since Bunzo had his head bashed in, the suspect would have to bear a deep grudge against the victim. 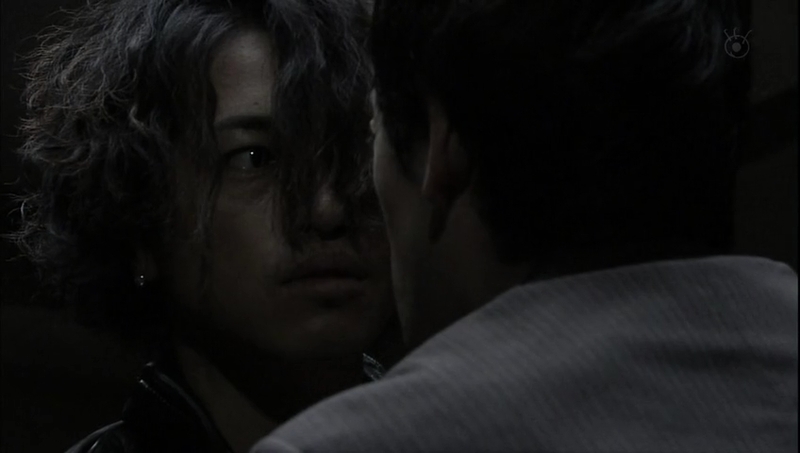 Mitsuru keeps flashing back to the scene where he glared angrily at his father and Shiori shielded him with her body. 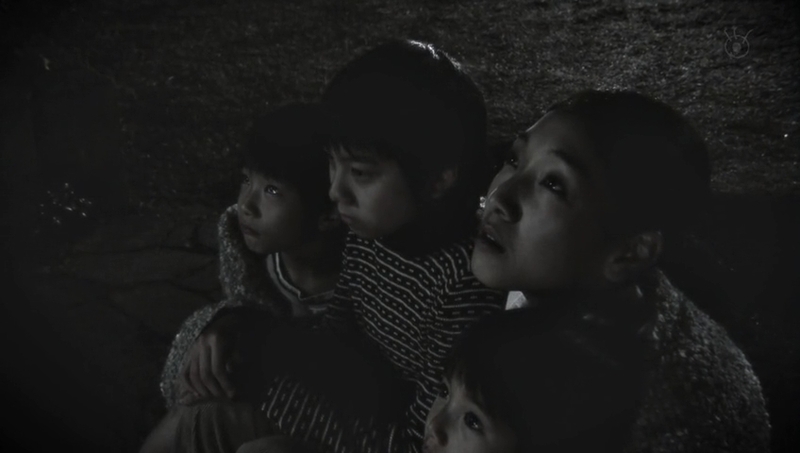 After that happened, Shiori takes the boys outside and tells them to look at the sky. She points out the different constellations in the sky. One of them is Perseus. Did the boys know that Perseus saved a princess from an evil man? This causes Mitsuru and the other boys to look up at the stars. Shiori then says she wishes she could go there and Mitsuru takes her hand in his and takes Isao’s hand as well. Man, that kid has a great intense stare for a young kid. 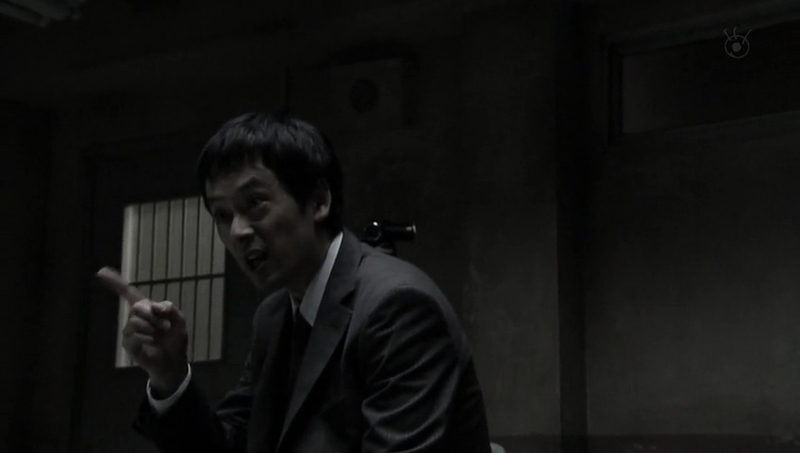 In the present, the detective states that Oguri (Bunzo’s secretary, remember?) is still unconscious. If he wakes up, then they can know who the suspect is. Mitsuru’s face is dark. Is anything wrong? No. So his younger brother was the one who first discovered the body. Isao? No Ryo. When the youngest Kurosawa came home he found Bunzo dead and Oguri-san at a heap from a fall down the stairs. Mitsuru already knew that, didn’t he? Mitsuru angrily says he didn’t do it, his fingers flicking more frantically. The detective shouts back that if he didn’t do it, then why is Mitsuru always moving his hands? Mitsuru’s hands stop moving. It’s because he’s guilty, right? What is Mitsuru hiding? Mitsuru is taken to the mayor’s house where he is told to photograph a secret meeting. If Mitsuru can get good pictures and not get caught, he can get a large sum of money. Mitsuru laughs and tells the man not to worry and leave things to him. He is left alone with the camera where he sits and watches the house. While he’s in the car he notices Kanako walk by and recalls she was with Isao earlier at the beach. She goes into the mayor’s house. Later, Mitsuru runs into the girl again and calls it fate. He puts his arm around her and tries to get her to go to a bar with him, but she shrugs off his touch and scolds him. If Isao-san saw his older brother now, he’d be ashamed. Mitsuru tells her not to be a snob and then yells out that Kanako may see him as a loser, but her father is one as well. 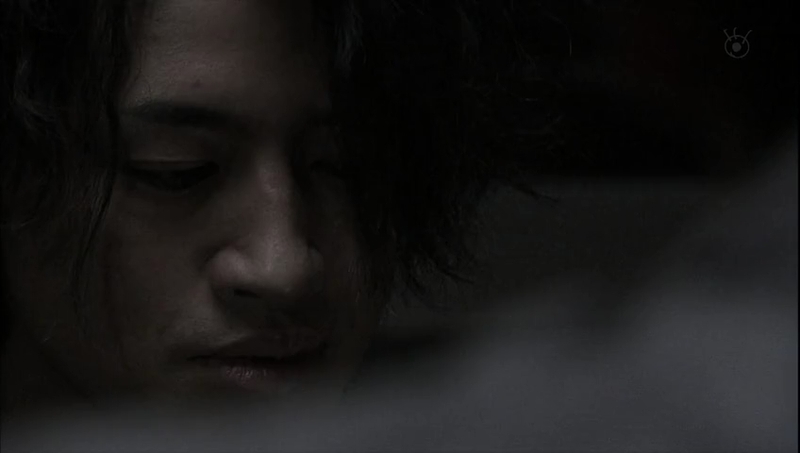 Kanako turns back and asks what he means. Mitsuru takes a drag and tells her that her father has some bad friends. 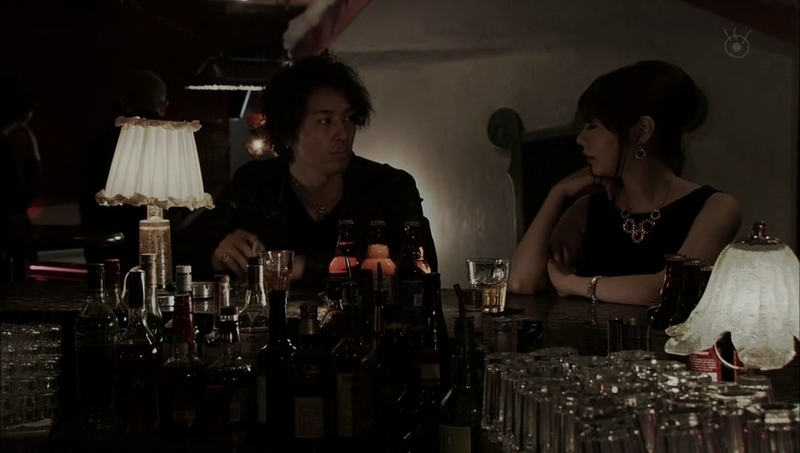 The two go to a hotel and Mitsuru tells the shaking Kanako that he can’t promise to not attack her. He jumps on his bed and asks the girl what she wants. Kanako asks Mitsuru to give her the pictures. Mitsuru’s response is to ask how much the girl can pay. Kanako says she has no money and MItsuru says no deal and gets up. Kanako yells at him to wait and begins taking off her clothes while Mitsuru watches in disbelief. We cut back to the present-day interrogation with the detective returning. He says he heard that it was only Mitsuru who was ignored by Bunzo. Well…compared to being a doctor and a lawyer, Mitsuru has nothing to be proud of. Doesn’t Mitsuru feel small next to his family? Mitsuru left the town once, but didn’t he come back quickly? Why was that? Was he unwelcomed in other towns? Mitsuru tells him to shut up, but the detective continues on. His brothers have bright futures while Mitsuru lives as a lower-class citizen in Kurusami and is only good at hunting girls. However, the relationships don’t last long. Mitsuru says it’s better than not having one. A kid who was abandoned once can’t face a person because he always has fear to be abandoned again. In your life, since you were abandoned by your mother and despised by your father, you had nothing to believe in, right? The detective goes on to say that at least Mitsuru’s brothers escaped and tried to better themselves while Mitsuru was trapped in his misery. That’s why he pointed his hatred towards Bunzo, wasn’t it? Mitsuru yells that he never thought so. He just… Just what? Mitsuru angrily rubs his head and the detective says that Mitsuru already knows he can’t keep a secret forever, right? Mitsuru goes to the Kurosawa house and Suematsu says Bunzo is out. That’s exactly why Mitsuru is there. The oldest son then takes a bottle of the expensive alcohol. One bottle can’t hurt, right? Suematsu says that he will be in trouble, but Mitsuru ignores him and climbs the stairs where he goes to visit Ryo. His baby brother says it’s the first time that they are drinking together. That’s right. Mitsuru says it’s a good thing. Mitsuru says he hasn’t been able to talk to Ryo often and Ryo says they can do that more now. Mitsuru asks if Ryo went to Shiori’s grave. Yes, he told their mother lots of things. 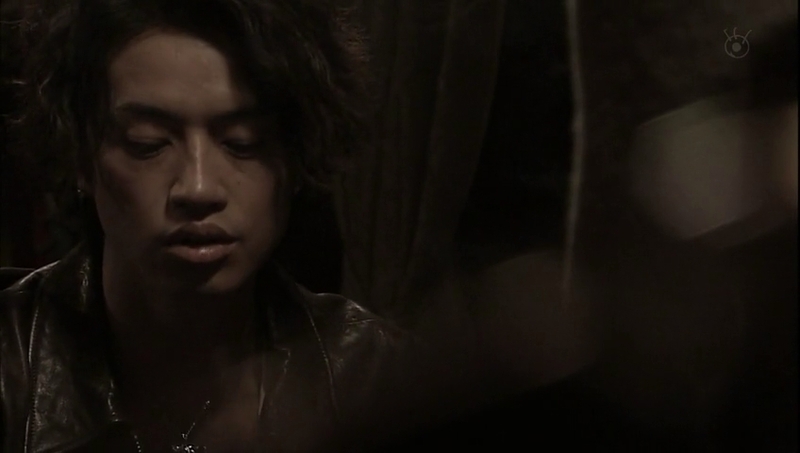 Ryo then says he doesn’t remember much about their mother beyond her holding him in her arms under the sun. Mitsuru says that is Ryo’s image of Shiori. For Mitsuru, stars remind him of Shiori as they used to watch them together. Ryo then asks what their mother was like. Mitsuru says that Ryo resembles Shiori—the boy inherited only good looks from their mother. Shiori was kind and generous. She was a woman who wished for everyone’s happiness above her own. 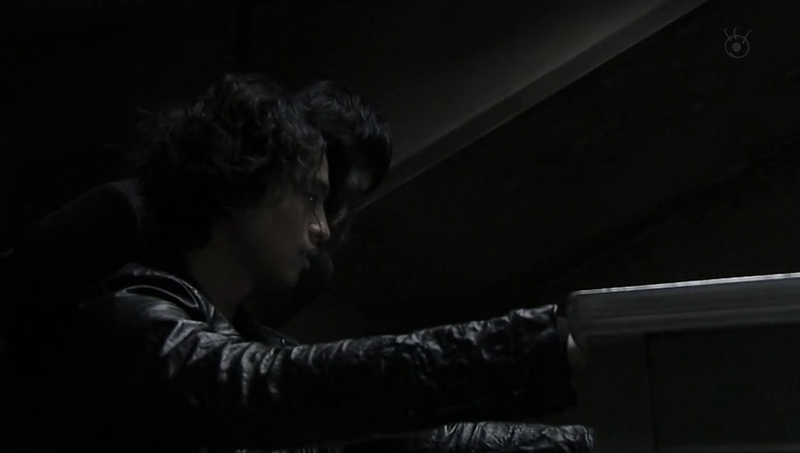 Ryo goes to say something, but a knock sounds at the door and it is Isao bringing Ryo a book. 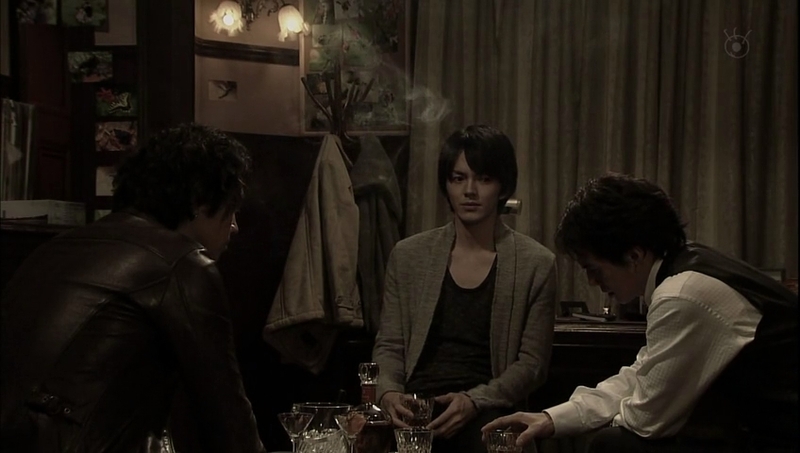 Ryo and Mitsuru invite Isao in to drink since the three of them never drank together before. Isao refuses, but his brothers won’t let him. The three sit and drink and Isao is asked when he’ll be going back to Tokyo. Isao says he has something to take care of there. Mitsuru asks his little brother if he’s doing stuff for their father. What kind of things? Isao remains silent and Ryo changes the topic. So Mitsuru wishes to open his own bar? Mitsuru smiles and says that’s his plan. 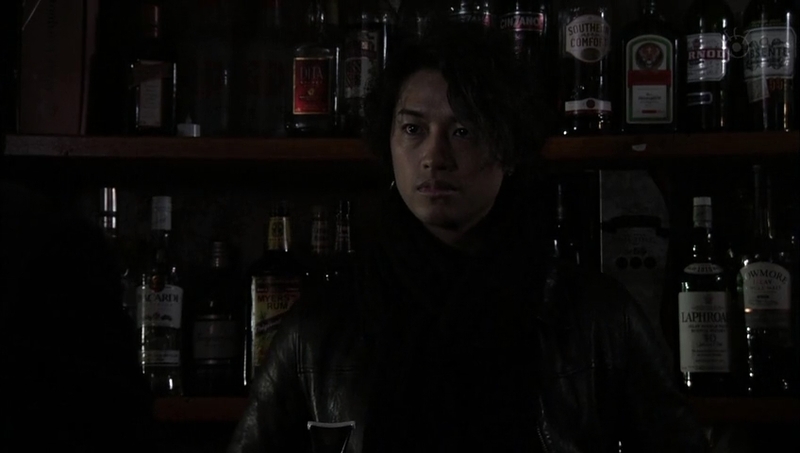 Ryo says that owning a bar suits his eldest brother. Mitsuru says he has to do something soon as he can’t keep worrying his brothers and Kanako. Isao doesn’t care about that—hasn’t Mitsuru been away from home for a couple of days now? This surprises Mitsuru and makes Ryo look uneasy. 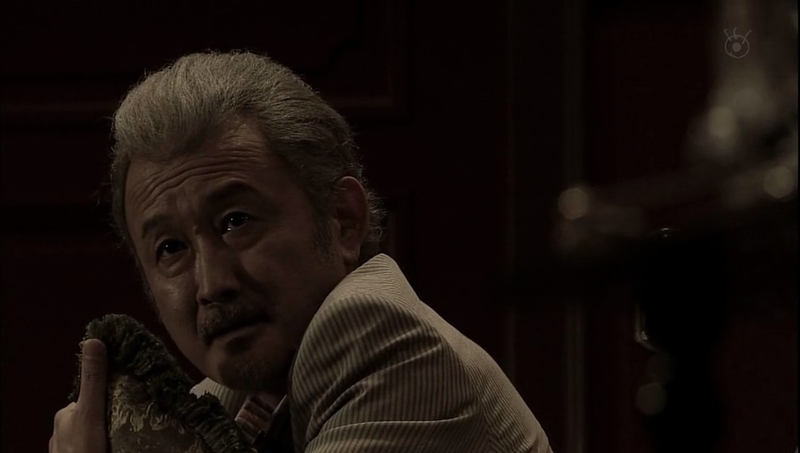 Isao replies that Kanako called worried about Mitsuru. Where was the oldest brother? Mitsuru only replies that there are times a person wishes to be alone. Didn’t Mitsuru say he’d take care of Kanako? Mitsuru replies he did. Then why didn’t he at least call her? Isao says that instead of taking care of her, Mitsuru makes Kanako uneasy. Looks like he’s all talk. Ryo tries to cut in and scold the middle brother, but Mitsuru says it’s okay. Such a tense and damp atmosphere. Mitsuru then says there is no ice and goes to get more. Outside, he pauses and recalls the memory where he promised to take his brothers to a place far away from the evil man. The flashback ends and Mitsuru goes downstairs and runs into his returned father. Why is Mitsuru there? Did his girlfriend leave him again? Of course, how can a mayor’s daughter be content with someone like Mitsuru? Mitsuru replies that the mayor doesn’t want his daughter to be attached to anyone bearing the name Kurosawa. Does Mitsuru really think that’s the reason? Looks like Mitsuru is ignoring the fact he’s good for nothing and blaming only the parent. 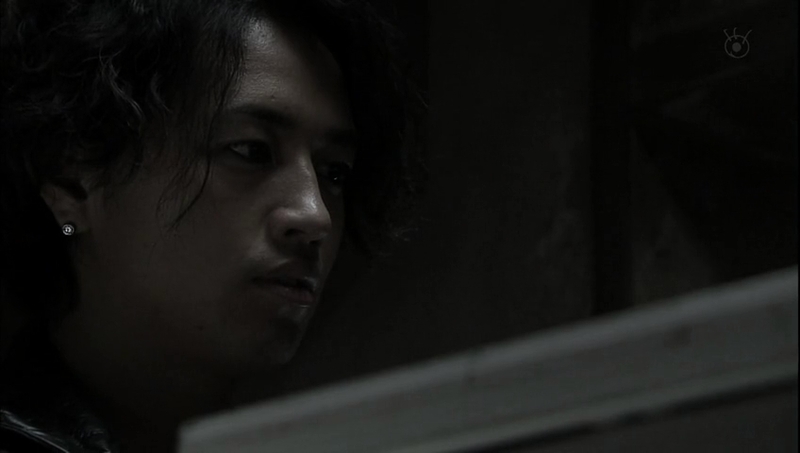 Mitsuru looks at his father who cringes away from his son’s eyes, which remind him of Mitsuru’s mother Azusa. Mitsuru picks up the tumbler full of ice and then puts it down and leaves with his father calling him a cur. Mitsuru goes back to his place and hesitates before going in. He gathers his courage and acts like nothing happened. 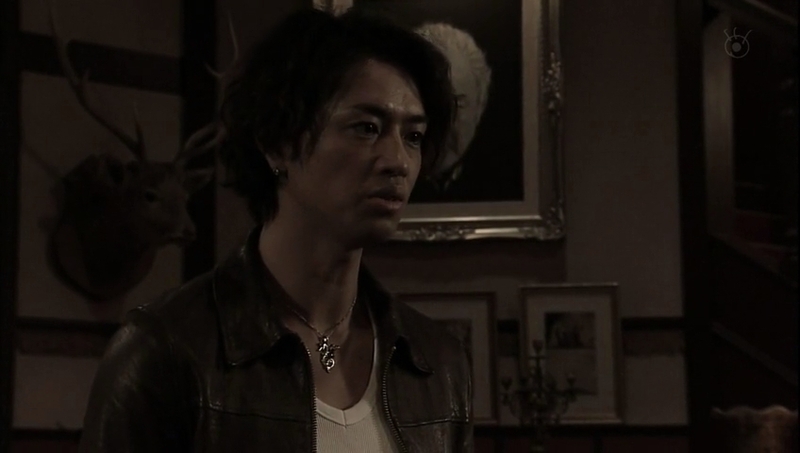 Kanako asks where he was and he replies at his parents’, did she call Isao? Kanako doesn’t reply to this and just asks Mitsuru to meet her parents. This shocks him. Kanako explains she wishes to introduce Mitsuru to her parents and he replies it’s too soon. He doesn’t have a suit, plus he’s unsociable. Kanako says there’s no meaning to that and Mitsuru replies that Kanako’s father is the mayor and he isn’t good enough. Kanako looks crestfallen and Mitsuru changes the subject to food, saying he’ll make dinner. Mitsuru goes out to the bar where he loses at a game of pool and complains he’s cursed. He then notices Kurumi and immediately goes over to her and strikes up a conversation. He seems to like her for some reason. Kurumi asks if it’s okay for Mitsuru to go out so often since he has a girlfriend. Mitsuru then asks her. Kurumi says she hates men who try to control her. Mitsuru can understand that. 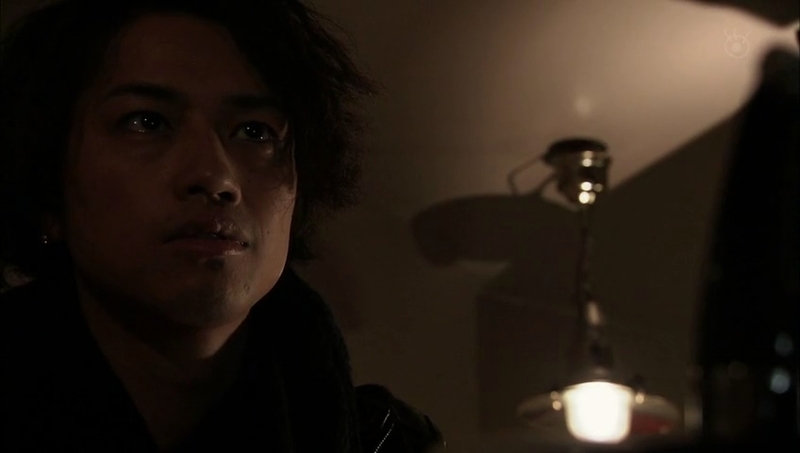 He then explains that it’s okay if he doesn’t go home to be with Kanako because what she wants, he doesn’t have. Once Mitsuru realized this, he didn’t really have a place to stay. Kurumi says that she doesn’t need a place to stay. Oh really? Some people say that because there’s a port to come back, they can depart, but I don’t want to go back to the same port. I want to continue going on a voyage to the world’s end. Mitsuru calls Kurumi a powerful woman and she calls him a lonely man. Mitsuru says that is the first time he’s heard that. Kurumi mentions that Mitsuru is always at the bar and he reminds her of his dream to own a bar. He was serious? Of course. Kurumi then says she knows someone with a lot of knowledge—would Mitsuru like to meet him? We then are back in the present where the detective softly asks if it’s Mitsuru since there is no one else he could think of that could kill Bunzo besides the eldest son. Mitsuru doesn’t look well at all and tells the detective to stop. Of course, the detective doesn’t. The only one to stand to gain anything from Bunzo’s death would be Mitsuru. The younger man slams his hands on the table. Why? Why him? Because of the three brothers, he was the only one in desperate need of money. Of course, the detective wishes to believe in Mitsuru’s innocence, so can’t he tell him something to verify it. 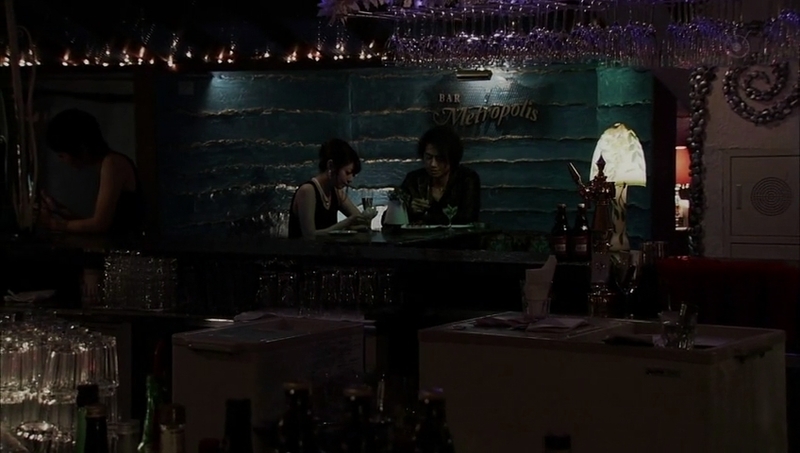 Mitsuru meets with a man at a fully stocked bar. Mitsuru wishes to buy it, but the quote for the deposit is a lot higher than he can afford. Is this really what he’ll have to pay? Yes. He apologizes and says that while he loves the bar an the space, he just can’t get that amount of money together. The man says that he can introduce some backers to Mitsuru as he wouldn’t be able to face Kurumi if he couldn’t help the eldest Kurosawa boy. This delights Mitsuru. He meets with Kurumi who congratulates him. Mitsuru then thanks her for introducing him to Sasaki. Kurumi asks if he’s relieved. Mitsuru says he is as he has many people who worry about him. Kurumi is a bit surprised by Mitsuru’s faithfulness. Mitsuru then asks if Kurumi will go with him as there is a place he wishes to take her. I’m not sure if it’s a hotel or somewhere else. Kurumi doesn’t look too happy about it and Mitsuru promises he won’t do anything to her. Kurumi says that no man ever keeps a promise like that. Mitsuru says that he does and then turns off the lights. 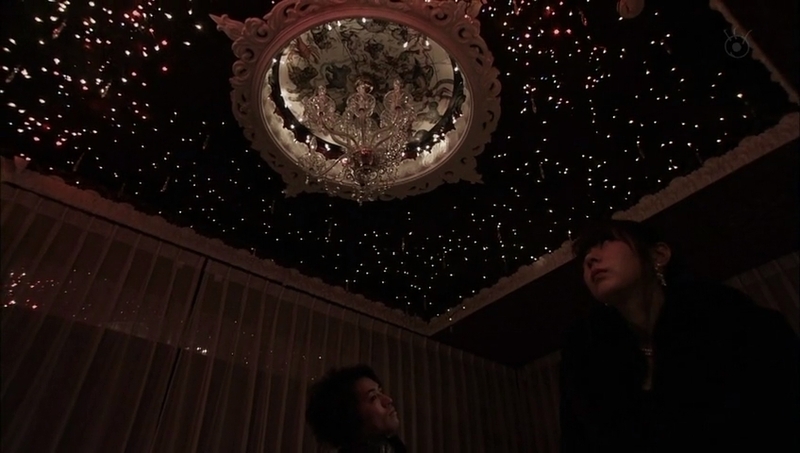 the ceiling sparkles like stars. Did Mitsuru bring her there to show her that? Yes. So how many other girls did he ensnare by bringing them there? Mitsuru replies that Kurumi is the first. Again…I really don’t get why he likes this girl so much. Why does Mitsuru always go and stay at that place by himself? Even though it’s just cheap lights, they soothe him. He lays back on the bed and says that is his secret. He then talks about writing Perseus down for a person he respected as a child. Perseus protected a princess from a monster. Kurumi comes in and sits on the bed. Does Mitsuru have someone he wishes to protect? Yes. 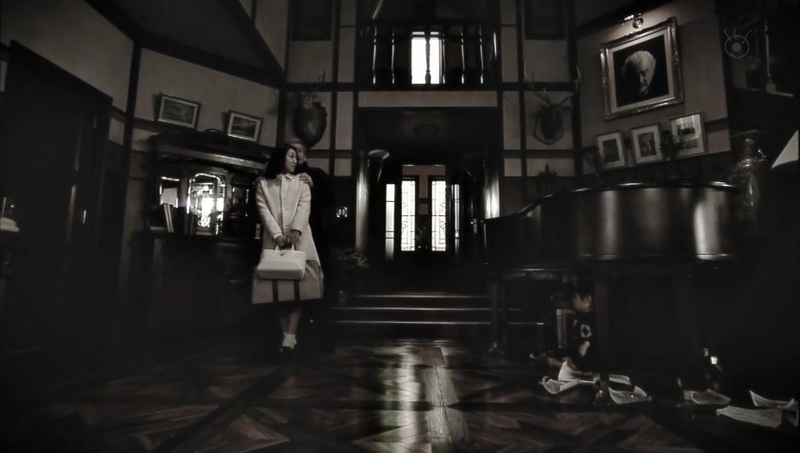 Kurumi looks down at him and Mitsuru replies his house is like a prison that a monster rules over. Mitsuru always felt like he couldn’t breathe. That’s why he left home after graduating from junior high. Unfortunately, he wasn’t free, but stuck in a maze unable to break free. Instead of protecting someone, he can’t even protect himself. Today he felt like he was finally breaking free. He says that thanks to Kurumi he feels like he’s taken a step forward. He wishes to try to be a brave man again instead of the coward he really is. Kurumi looks rather affected by the story. Would things be different if she had something to protect? Mitsuru looks at her in silence. 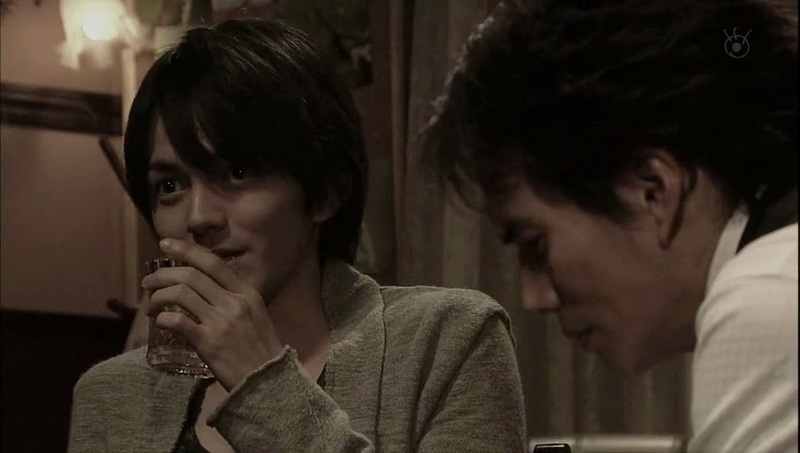 Mitsuru meets with Isao and apologizes for the “gift before death trouble” and tells his younger brother that he finally opened a bar. A bar? That’s right. Once the business is on track, Mitsuru plans to pay his debt and never make Isao anxious again. Mitsuru then says it’s the best time to bring the matter with Kanako to an end. She is way too good for him. 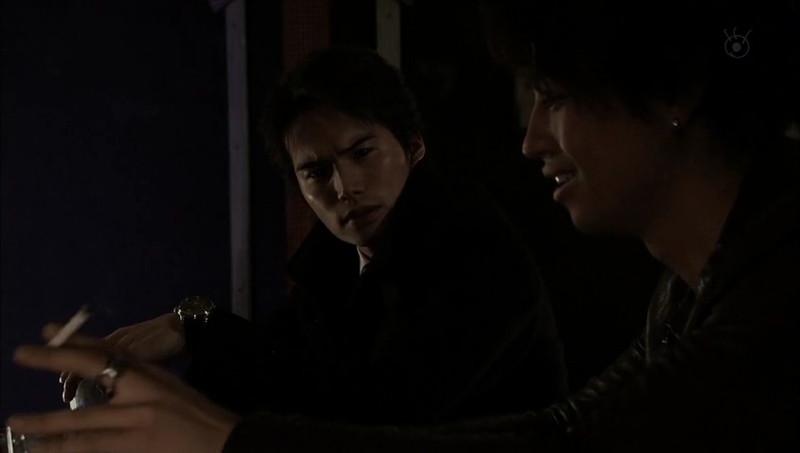 Mitsuru apologizes again to Isao who tells his older brother that it’s not him he as to apologize to. 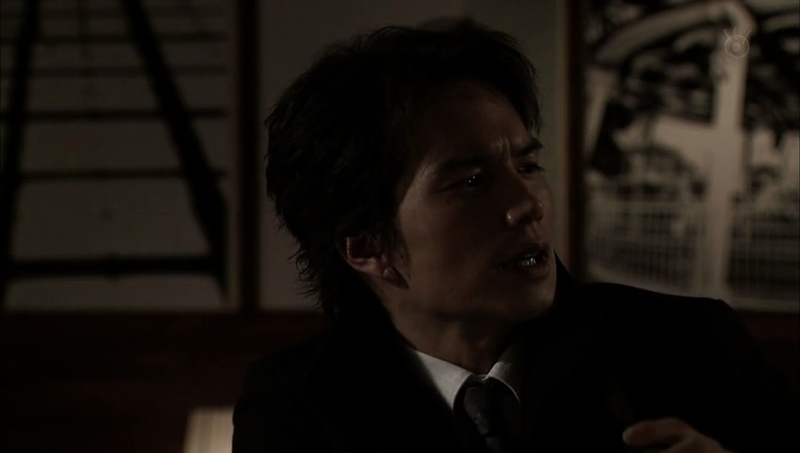 Mitsuru then warns his brother to stop dealing with their father and return to Tokyo. Isao also promises to bring his own matter to an end as well. Mitsuru says he envies Isao for finding a place where he belongs in Tokyo. Since Isao put in a lot of effort to find that place, then Isao should protect it from their father. Isao replies that he always envied Mitsuru for confronting their father head on. Mitsuru then replies that he left alone and broke the promise to take his brothers to a place where the evil man didn’t exits. This surprises Isao—has Mitsuru been hung up on that this entire time? Mitsuru says the promise still holds. Owning a bar doesn’t tell him what to do. 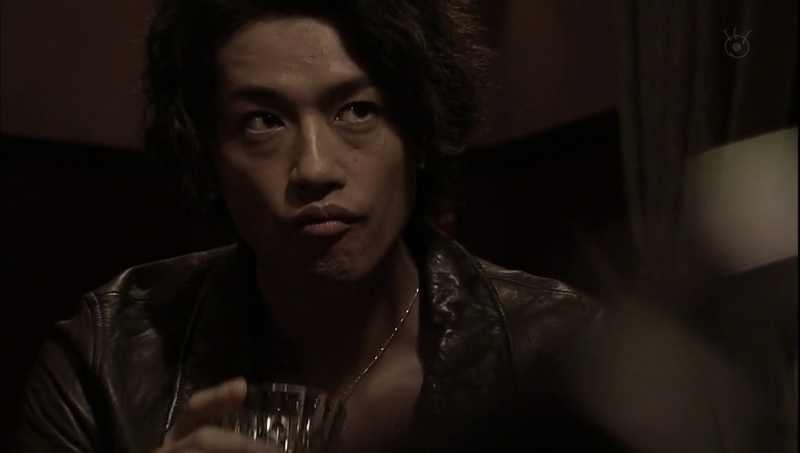 Isao pushes his empty glass away and says he’s going on. He pauses and looks back at Mitsuru and warns his older brother not to get too involved with Kurumi. Too late. We then cut to the present where Mitsuru confesses to killing his father. However, it’s not a real confession. He jumps up and yells is that what the detective wants him to say? Too bad because he didn’t do it. 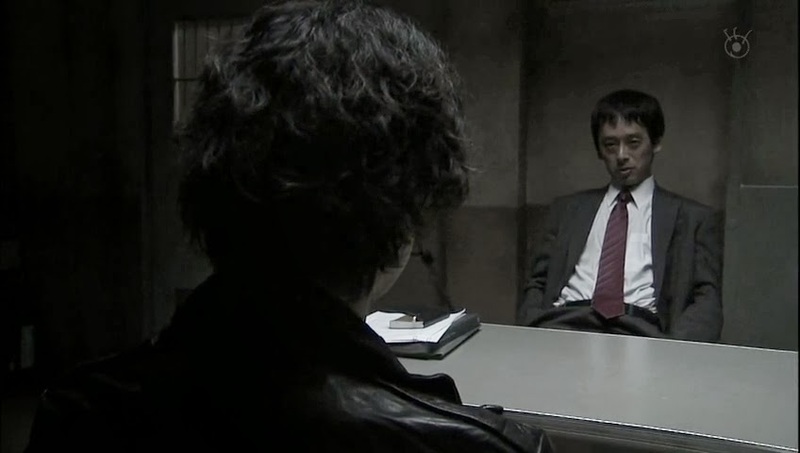 The detective stands as well and says that if Mitsuru keeps lying, he’ll have to tell him something. What the heck is that? Mitsuru asks what he means and the detective grabs Mitsuru’s collar and says they have unofficial evidence. Something that belonged to the killer was found on Bunzo’s nails. The detective pushes Mitsuru back and tells Mitsuru to confess before the analysis comes out and proves he’s the killer. We then flashback to Mitsuru passing by the bar he just bought and finding it open and another man running it. Mitsuru demands to know what the man is doing there since that is his bar. The man says that he’s been operating that bar for over ten years now. Ouch. Looks like Kurumi royally screwed Mitsuru over. I KNEW it. She was bad news. Sigh. Poor, gullible Mitsuru. I wonder if it was all Kurumi’s doing or if she was acting on Bunzo’s command or what. Mitsuru rushes out of the bar and tries calling someone. I don’t know if its Sasaki or Kurumi, but the call doesn’t go through. 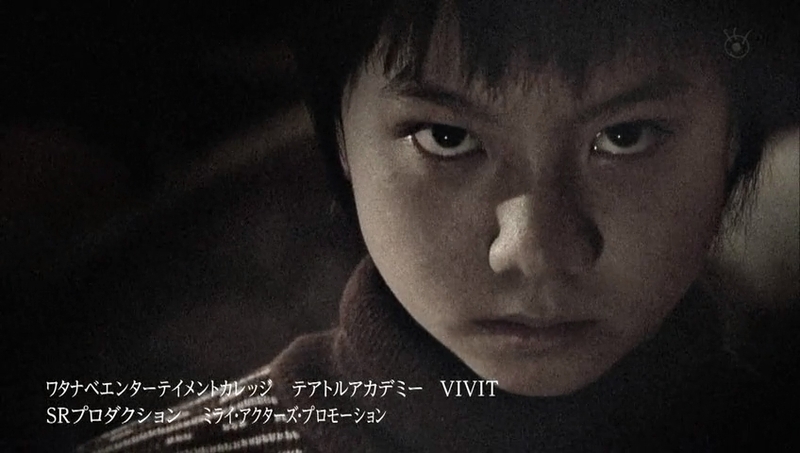 Mitsuru then recalls Isao’s warning and rushes off to the Kurosawa house in search of his little brother. When he gets to the house, Mitsuru finds his father and Kurumi. This shocks him. Why is Kurumi there? Bunzo asks if it was true that Mitsuru was swindled and got into more debt. Mitsuru asks Kurumi why she is there and Bunzo then hands over an envelope as her reward. Kurumi gets up to leave and Mitsuru stops her. Kurumi tells him to be careful since he’s so easy to deceive. Bunzo bursts out laughing while Ryo and Isao watch on looking troubled. Bunzo looks at Mitsuru’s face and laughs more saying that was the face he wanted to see on his son who is a good for nothing. Has Mitsuru learned his lesson yet? Awwww, poor Mitsuru. Poor all three of the boys. And that’s the end of this episode. 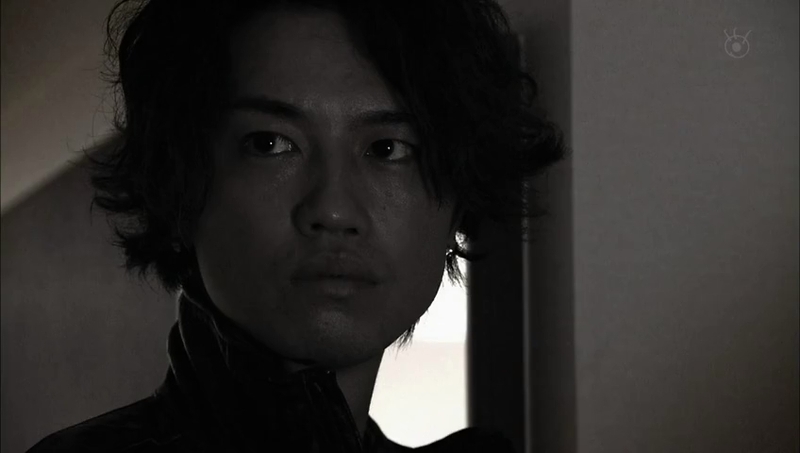 Of course, the next episode will follow Ryo’s part of the story. I wonder why they chose to show Isao’s first instead of going with Mitsuru’s, then Isao’s and then Ryo’s? Even though he hated their father, I really can’t necessarily see Mitsuru killing the man…but you never know.